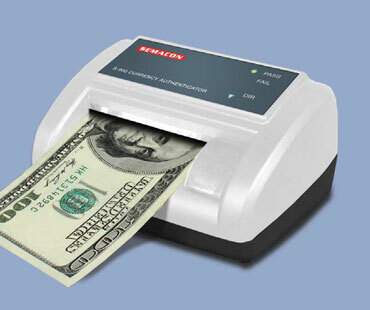 Take large bills without fear of taking a phony. Smallest footprint in the industry. Rechargeable battery makes it portable. Easy to use: green light/red light – pass/fail.